Do you or anyone you know suffer from headaches, fatigue, brain fog, insomnia, skin rashes, PMS, spaciness, yeast infections, or sugar cravings? These, and many others, can all be symptoms of copper imbalance. Its presence can easily be overlooked, because it is not easy to detect in blood and urine. Hair tissue analysis is the preferred means to detect copper in the soft tissue and beyond. Copper is an essential trace mineral vitally important for physical and mental health. Its presence is largely unappreciated by the mainstream. The late Dr. Paul Eck and Dr. Lawrence Wilson are avid copper researchers, and their findings are outlined below. Bones and connective tissue. 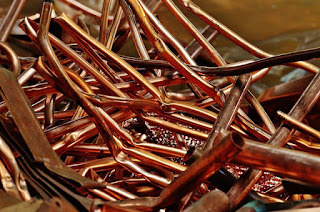 Copper is needed to fix calcium in the bones and to build and repair all connective tissue....tendons, ligaments, skin, hair, nails, arteries, veins, and a few others. 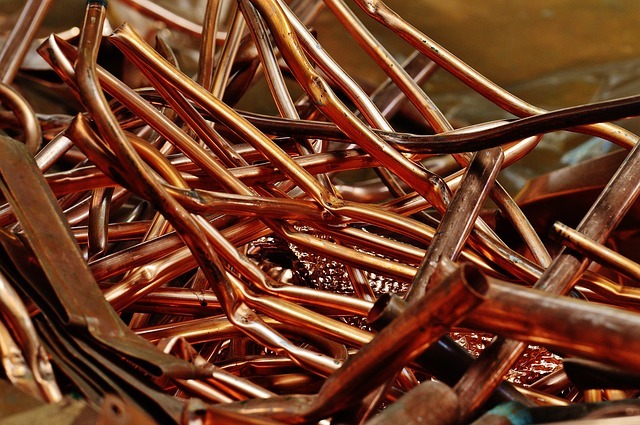 Copper imbalances contribute to osteoporosis, bone spurs, and almost all issues with the skin, hair and nails. Cardiovascular problems, tendon and ligament conditions, scoliosis and skeletal and structural imbalances are other problem issues with imbalance. Energy production in the cells. Copper is needed in the final steps of the Kreb's energy cycle...where cellular energy is produced. Any problem here causes fatigue, depression and other issues with low energy. Immune Response. Copper and zinc must remain in balance with each other. When not balanced, one is more prone to infections, particularly fungal and yeast infections. Intestinal yeast is rampant because most people eat sugars. Chronic sinus infections with post-nasal drip are another sign of yeast/fungal infection from copper imbalance. The glandular system, especially the thyroid and adrenal glands. The thyroid gland is extremely sensitive to copper. Common copper imbalance conditions include hypothyroidism and Hashimoto's disease. Also, some cases of Grave's disease (hyperthyroidism) are associated with copper imbalance. In most cases, the research has proven that balancing the copper is all that is needed to improve these conditions. Reproductive system. Copper is closely tied to estrogen metabolism. It is required for women's fertility and to maintain pregnancy. Imbalance can cause every conceivable female-related difficulty such as PMS, ovarian cysts, infertility, miscarriages and more. Imbalance affects men less than women, but may affect men's potency and libido as well as women's. Nervous system. Copper stimulates the production of the neurotransmitters epinephrine, norepinephrine and dopamine. It is also required for monoamine oxidase for serotonin production. So, copper is involved in all aspects of the central nervous system. Copper imbalances are highly associated with most emotional, psychological and neurological conditions. Issues like memory loss, depression, anxiety, bipolar disorder, schizophrenia and others. It is possible for a person to be copper-toxic, copper-deficient, or have biounavailable copper. Biounavailability is when there is excess copper in the body, but it cannot be utilized well. This is because binding proteins are not sufficient, and the unbound copper circulates freely, accumulating primarily in the liver, brain, and female organs. With this condition, a person may have symptoms of both copper toxicity and copper deficiency.